Automatic laptop sleep when battery level is low. Is there a better alternative to Low Battery Saver? Is Low Battery Saver really the best app in System category? Will Low Battery Saver work good on macOS 10.13.4? 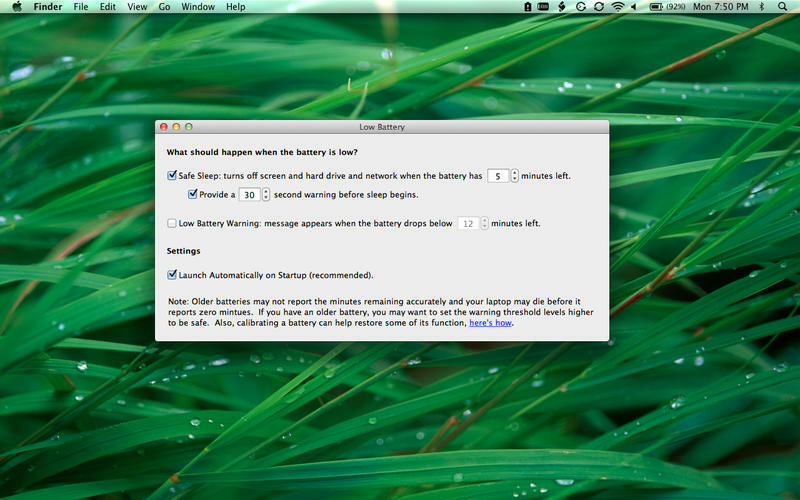 Low Battery Saver will safely sleep your MacBook before it runs out of battery. It offers a range of options for notifying you that your battery is running low and taking action. 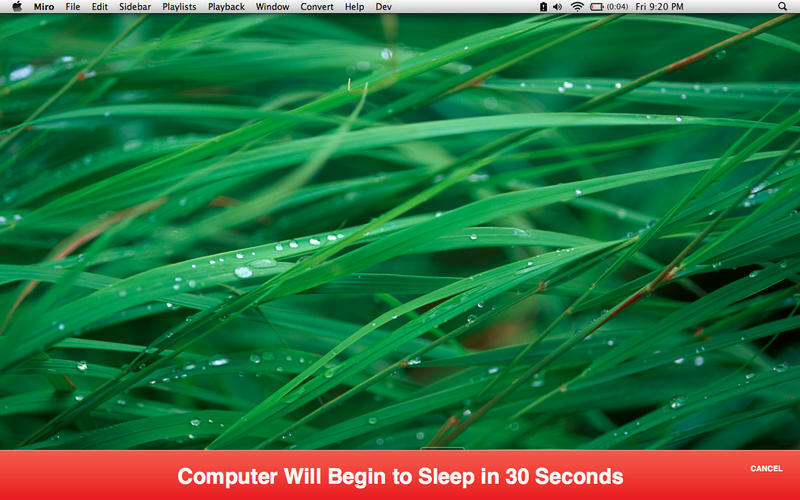 Sleep your MacBook automatically when the battery drops below the level you set. This conserves battery before the computer dies completely. Provides a clear warning message before sleep begins-- giving you a chance to plug in or ignore the warning (if you dare!). Launch on startup so that you are always protected. App name changed to "Low Battery Saver"
Low Battery Saver needs a review. Be the first to review this app and get the discussion started! Low Battery Saver needs a rating. Be the first to rate this app and get the discussion started!